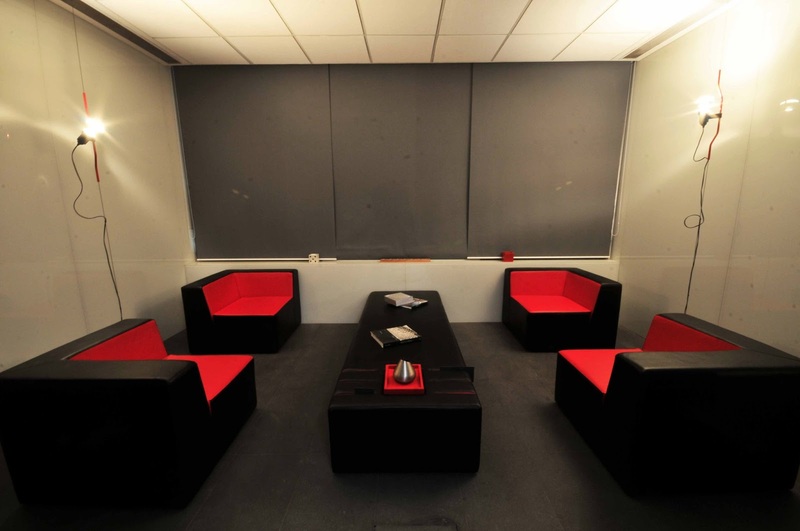 DSC Construction commissioned their corporate office in Gurgaon to Archohm. Headed by Arch. Sourabh Gupta, Archohm covers all spectrums from architecture, urban planning, interior design, landscape to product design. 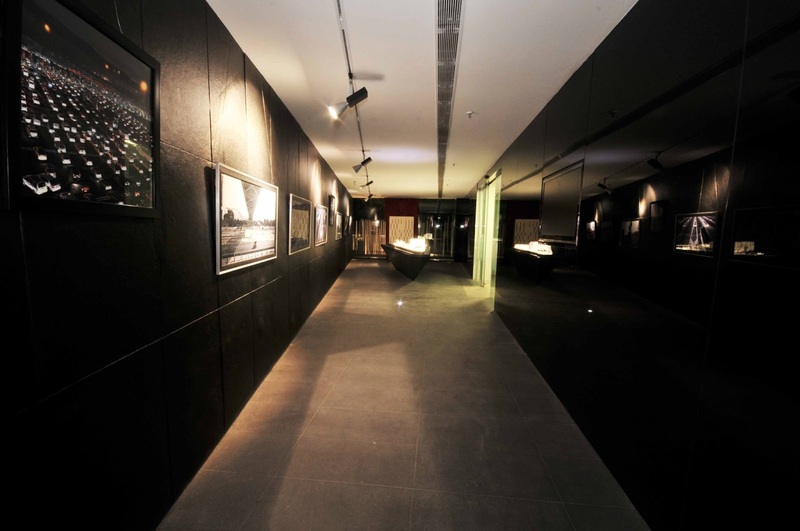 Their latest project has finally got the corporate sector looking at more creative and inspirational spaces. The building shell comprised of nine floors spread across 6,000 sq.ft. One was dedicated for services and recreation spaces, one was allocated for entry, waiting and meeting areas, five for corporate workspaces and the top two were served as management floors. When you enter the long corridor black glass forms one side and black kadappa stone on the other. Creating a sort of art wall. Array of artwork mounted on one side. TVs have been flushed into the black glass screens on the other side. 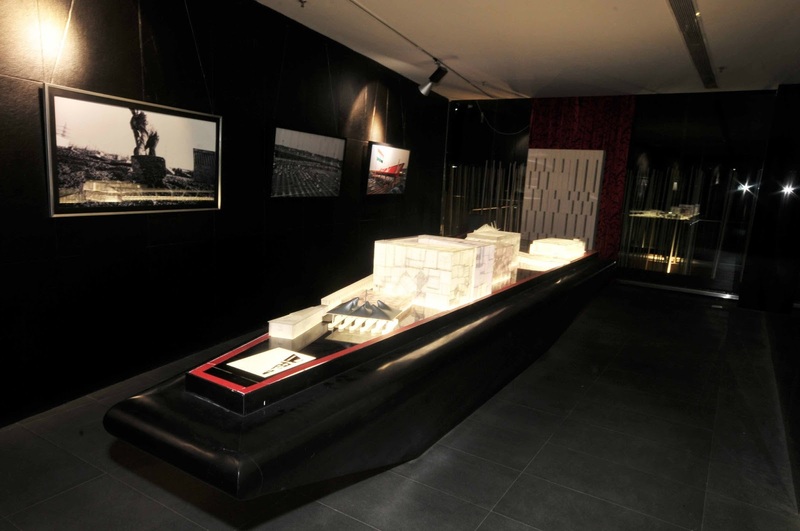 As a part of the art walk a model display table has been created with an under-lit top. This table is aerodynamically shaped and softened at the edges with the use of Corian molding for a seamless finish. Predominantly played with hues of red and black. Red being a difficult colour to use. 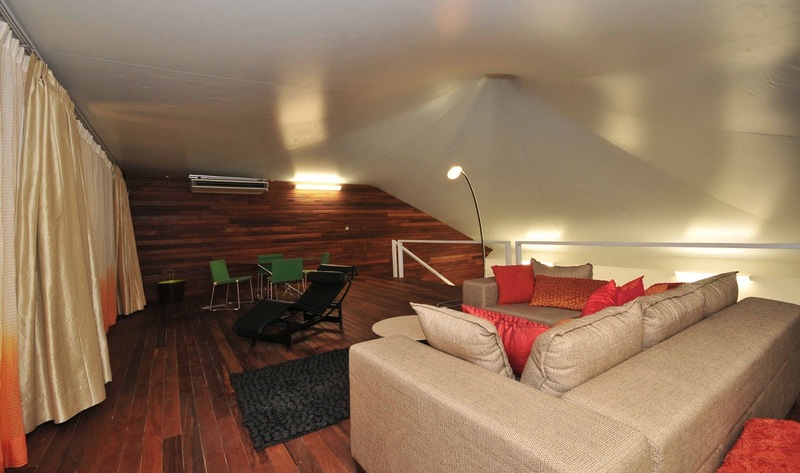 In residential design it is easier to go bright and dull out the rest. 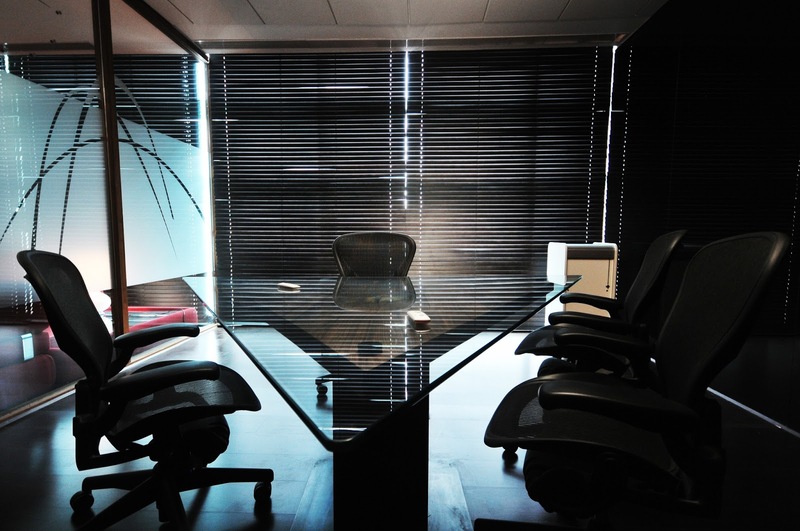 In an office you are already dealing with dark tones. So it is always easier to lift up with whites and creams. But in this space the black and red work perfectly together. 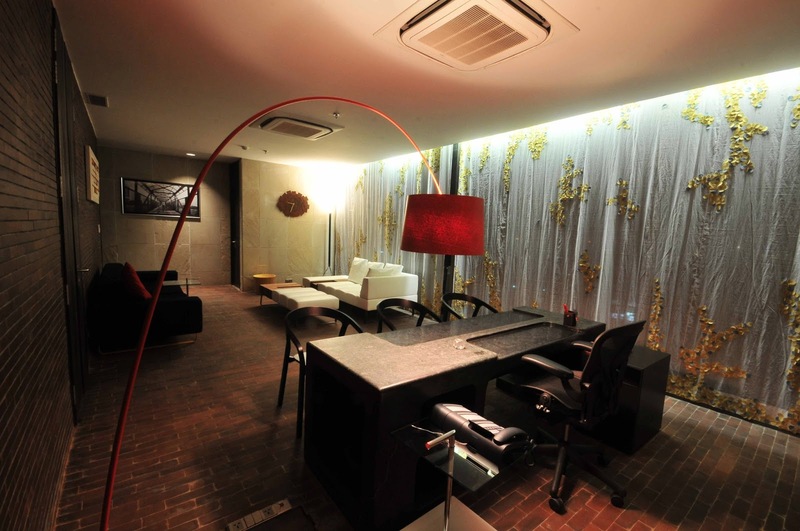 The Chairman’s cabin extends vertically into a private lounge. Further extending into a private terrace. A comfortable relaxed spot. Large Italian couches along with recliners to kick back. I love the canopy extending over the whole space. Wood flooring and wall panelling always adds warmth. Theres something very cozy to this spot. Though Im not sure how big a fan I am of the curtains and the green chairs. Softer flowy curtains would be ideal! The meeting room has a lovely triangular glass table. A good change to the usual rectangular. 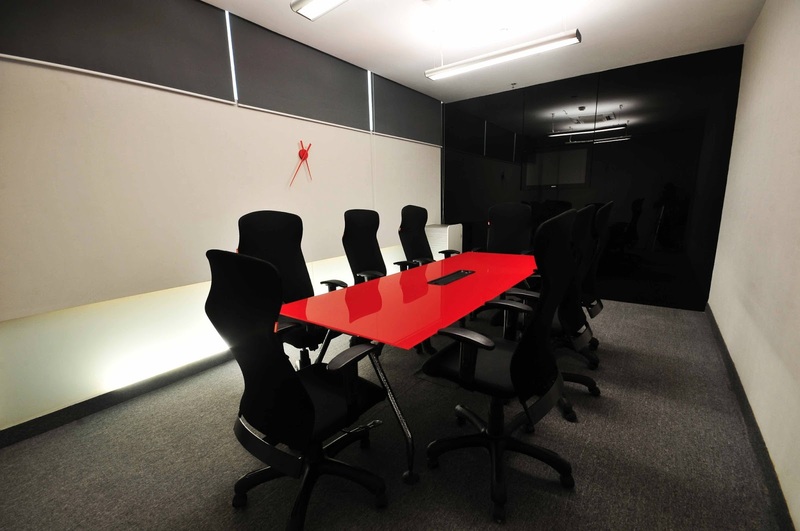 The second meeting room has a fiery red back painted glass table stands out. The red is the correct red. Not too dull, not maroon, the right red as I like to call it. Which makes it almost perfect. I like the indirect lighting on the walls. It forms an interesting feature as it adds light to the underbelly of the table. Previous articlenew furniture designer on the block – brad pitt! !